Guardian journalist Helen Pidd noted some disturbing responses from potential voters in the Westwood area of Oldham which once again calls into doubt the mass use of postal and proxy votes, a system which offers few safeguards to prevent manipulation and electoral fraud. 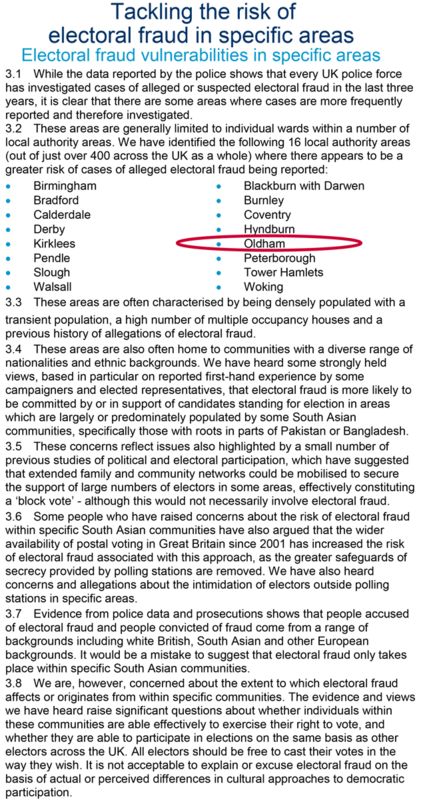 The electoral fraud review published in 2014 although naming Oldham as an area at risk of “alleged electoral fraud” concentrated on voters attending polling station and ignored postal voting. Most of the Labour voters I've met in Westwood, a mostly Asian area of Oldham, haven't heard of Jeremy Corbyn. 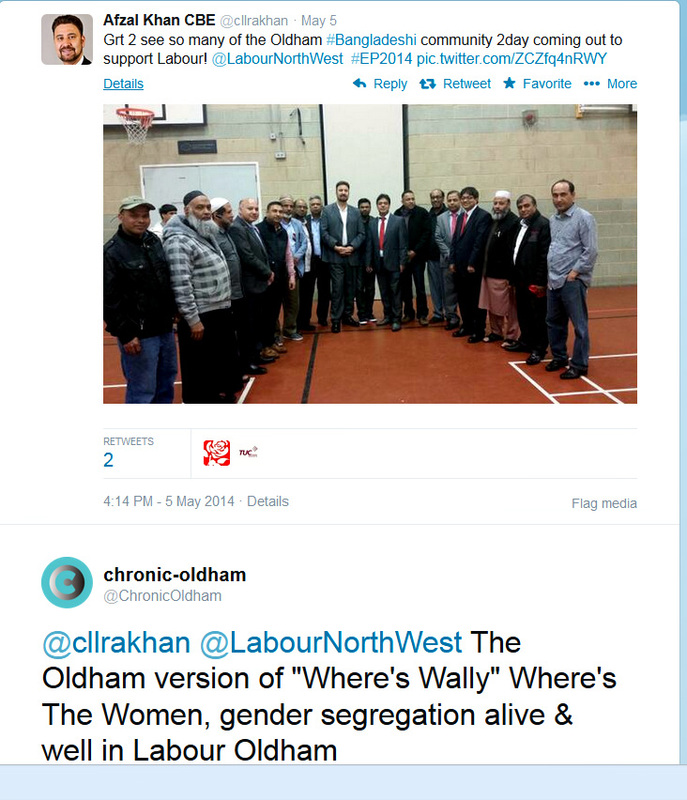 Labour Party gender Segregated electioneering in Oldham.